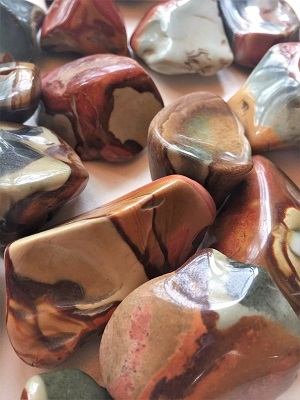 Beautiful Polychrome Jasper free form tumbled stones from Madagascar, Africa. 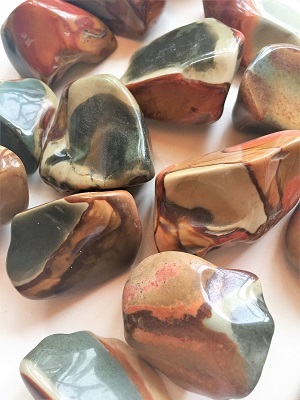 Polychrome Jasper aligns the chakras and can be used in chakra layouts. Each color is appropriate to a specific chakra. Polychrome Jasper facilitates shamanic journeys and dream recall. 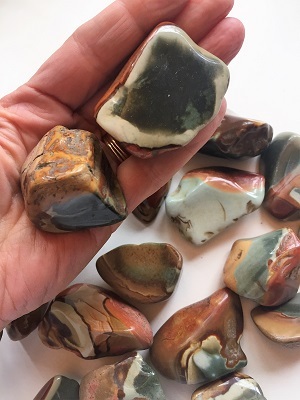 Polychrome Jasper provides protection and grounds energies and the body, absorbs negative energy and cleanses and aligns the chakras and the aura. Polychrome Jasper balances yin-yang and aligns the physical, emotional, and mental bodies with the etheric realm. Polychrome Jasper clears electromagnetic and environmental pollution, including radiation and aids dowsing. 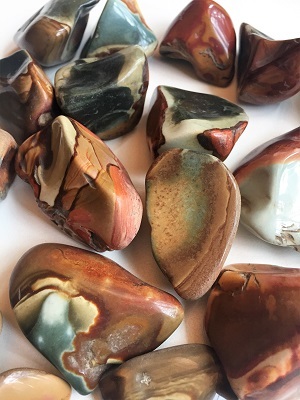 Polychrome Jasper prolongs sexual pleasure, supports one during prolonged illness or hospitalization and re-energizes the body. Polychrome Jasper imparts determination to all pursuits and brings courage to get to grips with problems.